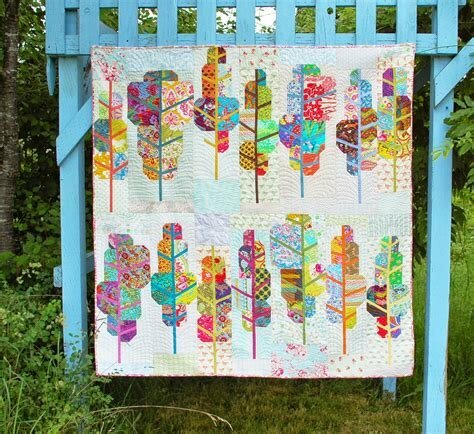 Create your own fantasy forest from all your favorite scraps. How about a plaid forest in browns and reds? Or maybe a wintery forest in blues and silvers. Or, go super-dramatic with black-and-white forest against a backdrop of various reds. The variations are about as limitless as, well, the number of leaves on a tree.